May was, without a doubt, one of the busiest months of our lives–and we are lucky enough to say it was that way for the best of reasons. 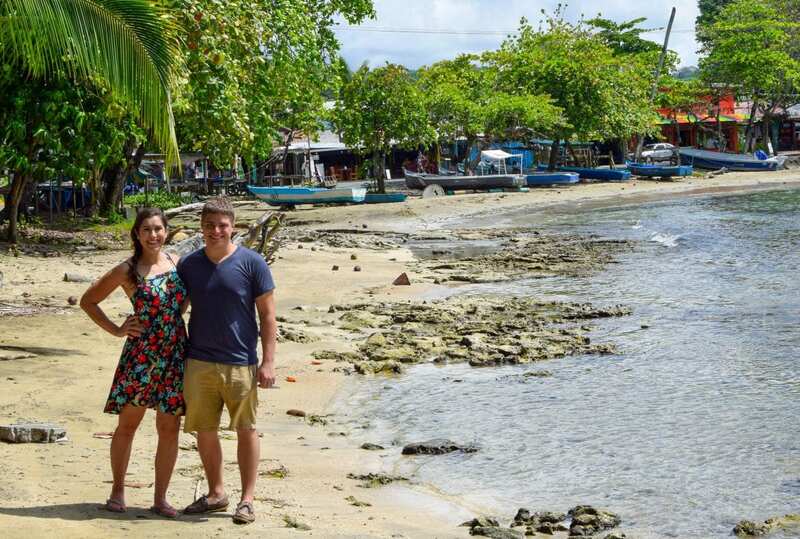 Long, long story short: while we were hanging out in Bocas del Toro, Panama at the beginning of May, whiling away the days on the islands and dealing with less-than-ideal beach weather, Jeremy landed a dream job! We spent the spring fairly uncertain of what our next step was going to look like: freelancing was bringing in some money, but it was stressful and Jeremy hated chasing down clients all the time. This blog is a fun side project, but it certainly doesn’t feed us! We knew we didn’t want to move back to suburbia, so we brainstormed ideas as different as doubling down on freelancing income, moving to New Zealand or Australia on a working holiday visa, teaching in South Korea, getting a job in a region of the United States that was different enough from Oklahoma and Texas that it felt adventurous, trying to land a job in Europe…. on, and on, and on. In the end, we landed on the best possible scenario: Jeremy’s new job is in the exact programming language he wanted to work in, the medium-sized environment he wanted to work in, and is ultimately remote! 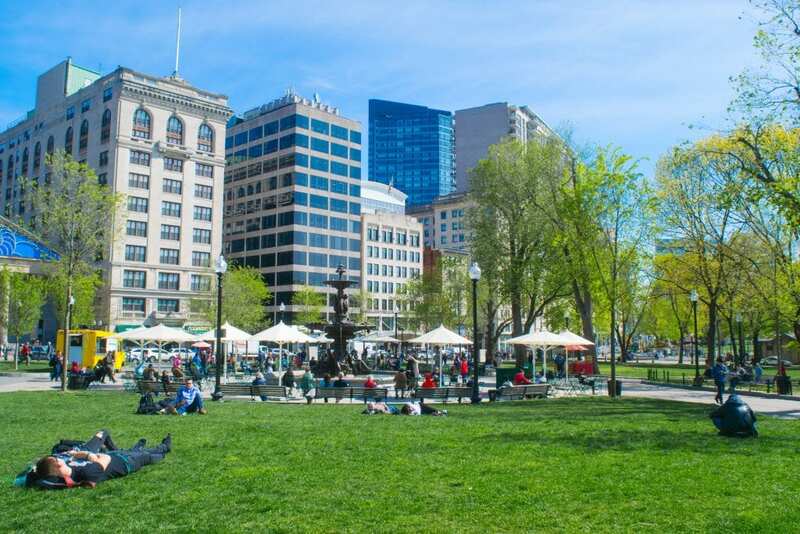 We’ll be spending the summer enjoying all the things to do in Boston so he can get settled into his new role and get to know the team, and even that has worked out perfectly: we love Boston already, are completely unfamiliar with New England (new region, yay! ), have close friends and family near enough to visit over the summer, and, as much as we are looking forward to getting back on the road in the fall (this time with a full-time income! ), we are also very excited to slow down and catch our breath for a few months. To get from Bocas del Toro, Panama on May 1 to Boston, MA on May 31, though… we undertook quite the back and forth journey. Despite the busy times, this was an incredible month. Second place highlight: apartment hunting and exploring Boston for the first time, and realizing how much we adored this city. It helped that the weather mostly cooperated on our first visit–we spent plenty of time soaking up the sun in Boston Common, found our summer neighborhood in Brookline Village, walked a large part of the Freedom Trail, and, when the weather turned cold and rainy, we visited the penguins at the New England Aquarium and I promptly turned into a squealing kid. Biggest highlight: Vicariously living through my brothers experiencing their first trip outside the USA. My grandparents, dad and brothers all came to spend a week with us in Costa Rica, and while they left with mixed opinions (let’s just say they’re not big fans of heat and humidity), I adored getting to witness my little brothers first trip out of the country. It brought back so many memories of our honeymoon to The Bahamas (the first time Jeremy and I ever had our passports stamped! ), and spending time with them in such a different environment than usual was an amazing gift. Logistics, clearly: our trip to Boston in between our time in Panama and Costa Rica was insane from a logistical standpoint, and we agonized over the decision for days (including sending a couple of close friends and family members a pro/con list of our options to help clear our heads! 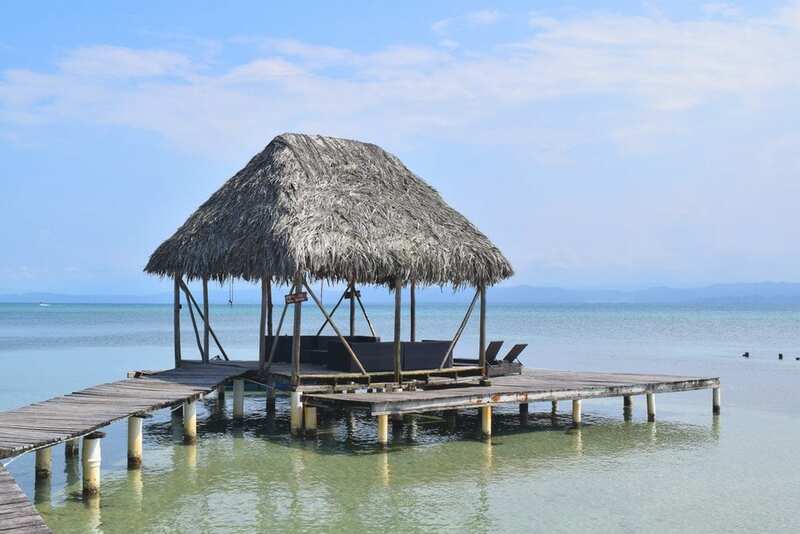 ), but ultimately we’re so glad that we did it–we found a great sublet, removed a ton of stress from the second half of the month, and, to be honest–we weren’t that crazy about Bocas del Toro in the first place. Honestly, this month was terrible from a money management perspective–I’m still too horrified by how much we spent to really see the forest through the trees, though I do recognize that we (mostly) spent money on high-quality things. If I had to pick, I would say that our best money-managing move was being patient with replacing some of our worn-out clothes and electronics, and not immediately running out to replace everything the second we got an income again (which was tempting). When the sun decided to shine on Bocas del Toro, the beach views were glorious! This was the lightest month of writing I’ve ever had since starting Our Escape Clause almost 15 months ago, and while it was necessary for my sanity, I doubt I’ll have a month this light again anytime in the near future–for starters, I now have a ton of content to get caught up on! Horseback Riding in Nicaragua with Rancho Chilamate — One of our top days in Central America was easily the day we galloped horses down a wild beach as the sun started to set over the Pacific Ocean–life just doesn’t get much better than that. 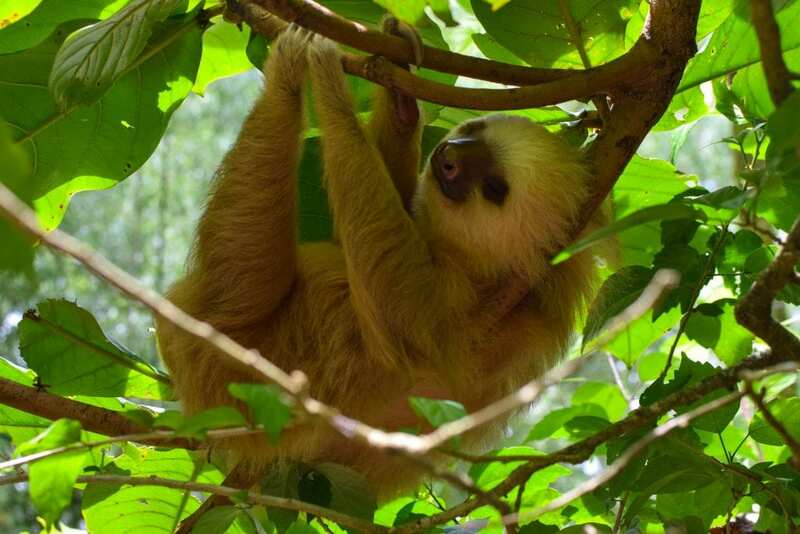 Hello, Gorgeous: Nicaragua in Photos — Nicaragua was one of our favorite–if not our very favorite–countries in Central America, and part of that is simply because of visually stunning it is. With any luck, June will not be nearly as much of a logistical nightmare as May–but it will still be far from boring. We’re hoping to settle in and really enjoy Boston this month, including celebrating our fourth wedding anniversary in the city. We have a mile-long list of day and weekend trips that we want to take in New England and beyond, so we’ll definitely be trying to work some of those in as well (while we know there’s no way we’ll get to every one of the places on that list this summer, we’re determined to do our best!). During the last week of June, we’re splitting up as I head to North Carolina to spend time with my mom and Grammy for a week–which will likely include a visit to our longtime family haunt of Atlantic Beach in the Outer Banks!